The Mustang's safety rating has improved in Europe - but only marginally. Earlier this year, the 2017 Ford Mustang was awarded an abysmal two-star safety rating from Euro NCAP, making it the first car from a major manufacturer to receive such a shockingly low safety rating in a decade. That may sound confusing, since the same car was awarded five stars for safety in the US by the National Highway Traffic Safety Administration. In Europe, it earned its low safety rating thanks primarily to a lack of safety tech available for the American model. Now, the 2018 Mustang facelift has been tested by Euro NCAP, and its safety has improved – but only marginally. 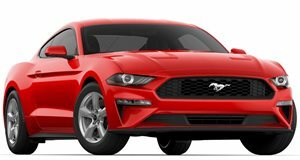 Unlike last year’s model, the European 2018 includes Mustang Pedestrian Detection, Forward Collision Warning, Autonomous Emergency Braking and a Lane Keeping Assist as standard, which are optional extras for the American model. The front air bag was also adjusted to fix an issue where it would bottom out on deployment, providing insufficient pressure to prevent the passengers body from hitting hard surfaces. These changes were enough to increase Euro NCAP’s safety rating from two stars to three – though that’s still not exactly a cause for celebration. “While a three-star rating is unexceptional, the updates Ford have introduced have not only made Mustang’s safety better in key areas but also show that the company cares about its customers and safety reputation,” said Euro NCAP Secretary General Michiel van Ratingen. “Our advice to buyers is to always opt for a Euro NCAP five-star car, so a three-star rating is never a cause for celebration,” Matthew Avery, director of research at Thatcham Research, added. “However, Ford’s rapid addition of a suite of standard safety tech and its prompt updates to improve the performance of the airbags and restraints is to be applauded."